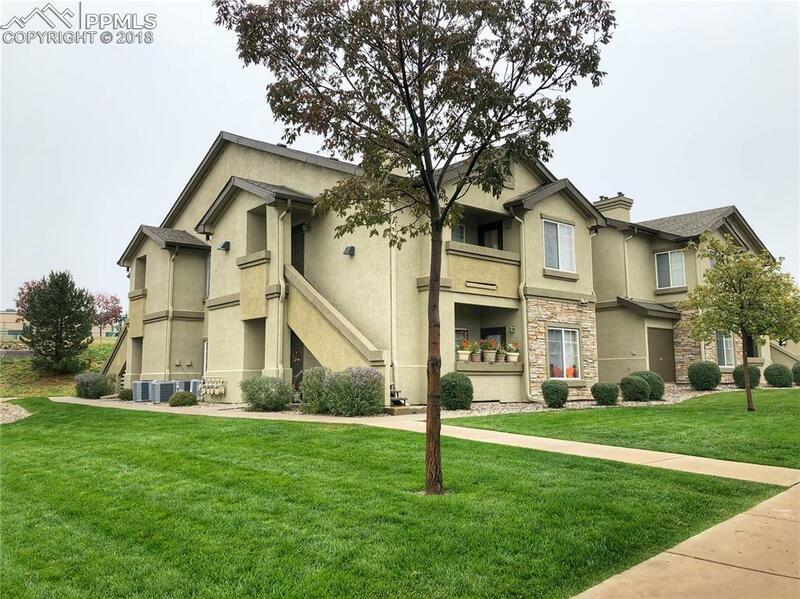 4315 Golden Glow View #102, Colorado Springs, CO 80922 (#9316647) :: Fisk Team, RE/MAX Properties, Inc.
Gorgeous 2 bed, 2 bath with 1 car detached garage in amazing gated community! 1st level unit that is absolutely spotless from top to bottom. Good size walk in closets in both bedrooms. Snuggle up next to the gas fireplace during the winter, and stay cool all summer long with this very efficient central air unit. Tons of extras in this community including clubhouse, pool, hot tub, and 1 covered parking space in addition to 1 car detached garage! All appliances including washer and dryer are included! Listing provided courtesy of Box State Properties. Fisk Team, RE/MAX Properties, Inc- Licensed in the State of Colorado. The real estate listing information and related content displayed on this site is provided exclusively for consumers’ personal, non-commercial use and may not be used for any purpose other than to identify prospective properties consumers may be interested in purchasing. This information and related content is deemed reliable but is not guaranteed accurate by the Pikes Peak REALTOR® Services Corp. Data last updated 2019-04-22T09:40:58.597.